Philadelphia's Powel House not only possesses one of the city's finest examples of eighteenth century Georgian architecture, it was also the home of Samuel and Elizabeth Powel who both played roles in the founding of America. 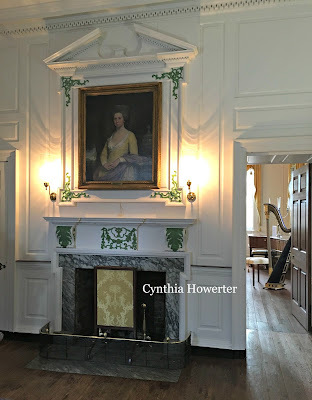 The Powels were known for their hospitality and their house became a magnet for politicians and dignitaries during the years of our country's struggle for independence. 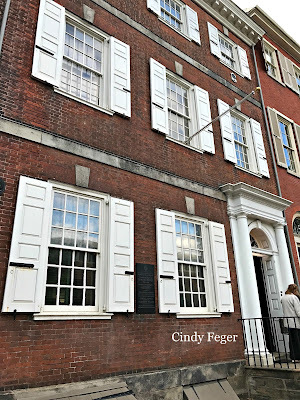 Located on Third Street in the heart of the city's colonial district, the three-story brick home was built in 1765 by businessman Charles Stedman and purchased four years later by Samuel Powel just days before his 1769 marriage to Elizabeth Willing. Shortly after buying the property, Samuel began extensive renovations to its interior, turning the house into one of the most elegant dwellings in the city. Philadelphia's Powel House. Photo by ©Cindy Feger. 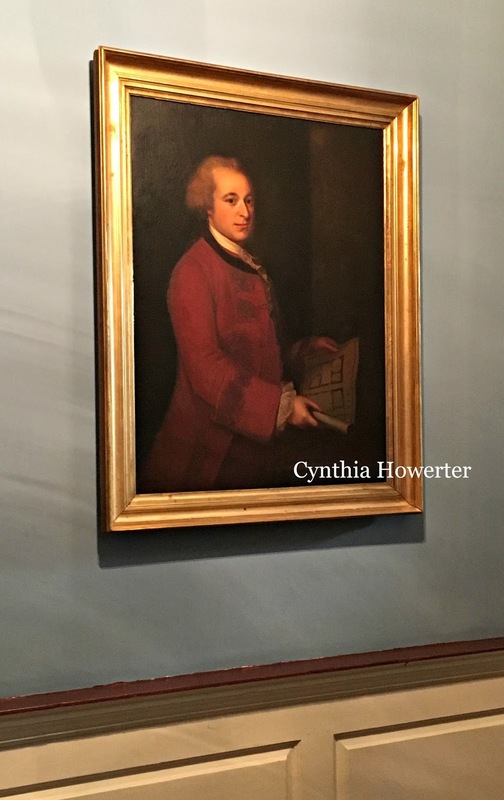 Samuel Powel, born in 1738, was a prosperous merchant, politician, and third generation Philadelphian who inherited his wealth from his father and grandfather. After graduating from the College of Philadelphia, he traveled in Europe for seven years before returning home. During his time abroad, Samuel spent time with Voltaire and the Pope and other prominent European leaders, and was exposed to architectural styles not seen in the American colonies. 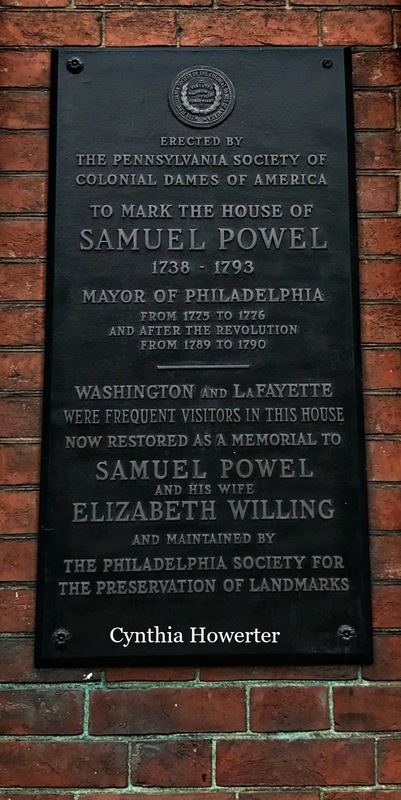 Samuel became active in Philadelphia's political and justice systems after his marriage. 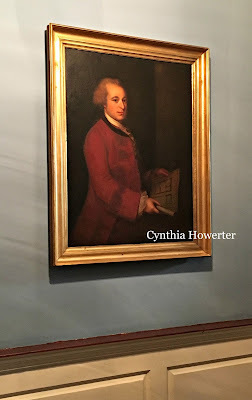 He served as the last mayor of Philadelphia under King George III's rule and became the city's first mayor after America won its independence from Great Britain. In 1792, Samuel became speaker of the Pennsylvania Senate which was located in Philadelphia. Samuel's wife Elizabeth came from a well-to-do family of merchants and politicians. 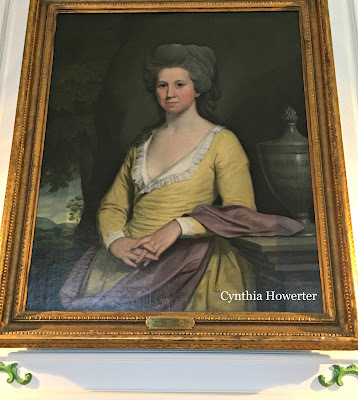 She was born in 1742 in Philadelphia to Charles and Ann (Shippen) Willing. Her father and an uncle served as mayors of the city. Elizabeth's sister Mary married William Byrd III, a Virginia planter, and her cousin Peggy Shippen was the wife of Benedict Arnold. After Elizabeth and Samuel married, leading American statesmen and intellectuals and visiting dignitaries regularly gathered at their home. The couple lavishly entertained their guests and promoted discussions about current political issues during and after America's quest for independence. George Washington spent considerable time in Philadelphia as a member of the Second Continental Congress before the Revolutionary War began. He and his wife Martha were frequent guests of the Powels and the two couples became close, life-long friends. In 1777, the British Army invaded and occupied Philadelphia. Although members of Congress and many residents fled the city to escape capture, Samuel and Elizabeth remained in their home. Britain's Earl of Carlisle took possession of the Powel House for a brief period and claimed the couple's bedchamber for his own, forcing Elizabeth and Samuel to stay in the servants' quarters until he vacated their premises. 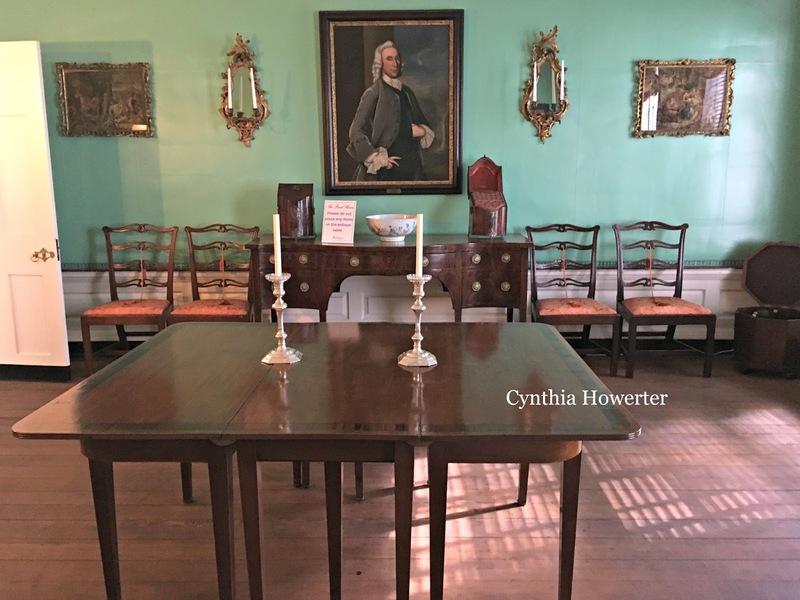 The Powel House was one of the first in Philadelphia to have a dining parlor. Martha Washington was so taken with the green wall color that she had Mount Vernon's dining room painted the same color. Powel House dining room. The color green was believed to aid digestion. 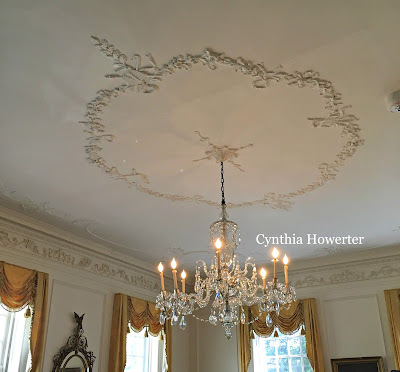 The ballroom was the most ornately decorated room in the Powel House. 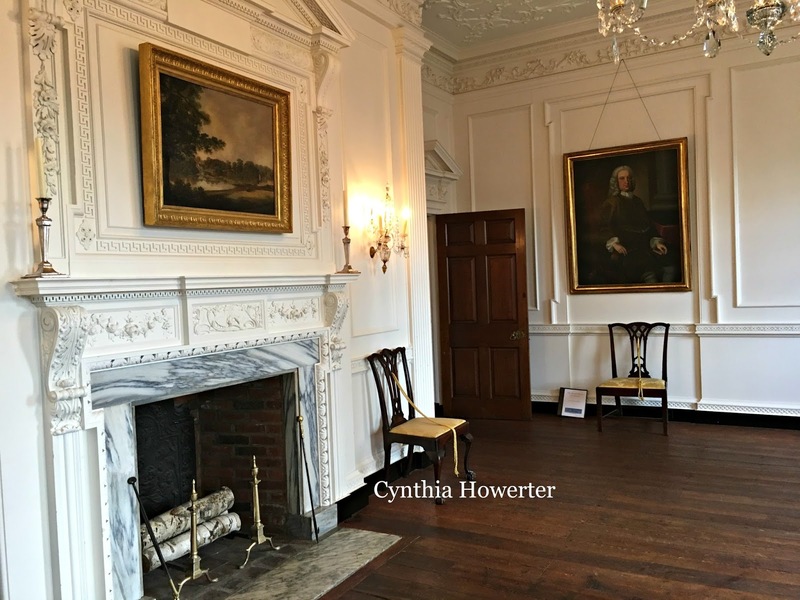 Located on the second floor, it occupied the front parlor and was the scene of many parties and social gatherings given by Samuel and Elizabeth. 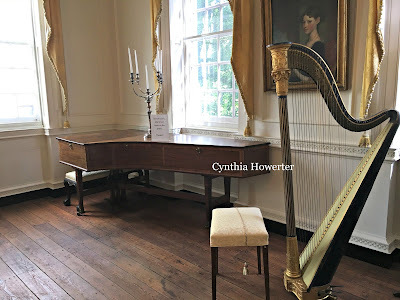 George and Martha Washington celebrated their twentieth wedding anniversary at a dance in the exquisite room. Some of Samuel's favorite European architectural details were included in the Powel House decor during its renovation. He installed floor-to-ceiling wainscoting (see photo above) - which was unheard of in Philadelphia at that time - and a Rococo-style plaster ceiling in the ballroom. Among the many guests who were entertained in the ballroom were Benjamin Franklin, the Marquis de Lafayette of France, and future presidents John Adams and Thomas Jefferson. The room was used for parties, dancing, card playing, and other social activities. When guests needed a respite from the entertainment, they gathered in an adjacent room that Elizabeth referred to as the "Withdrawing Room." Here, guests could converse without competition from the ballroom's louder festivities. 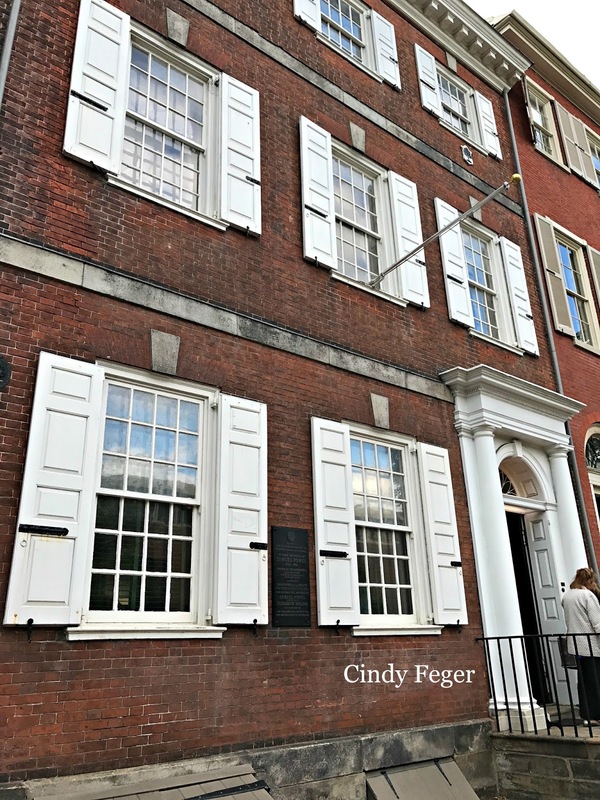 Many of our country's Founding Fathers were frequent visitors to the Powel House when the Constitutional Convention convened at nearby Independence Hall in 1787. After the convention adjourned each day, the delegates needed a place where they could meet in the evenings to discuss and work out the details of the new federal government - a private place where their conversations would not be overheard and revealed to the public. Elizabeth, a woman known for discretion, offered her house to them. 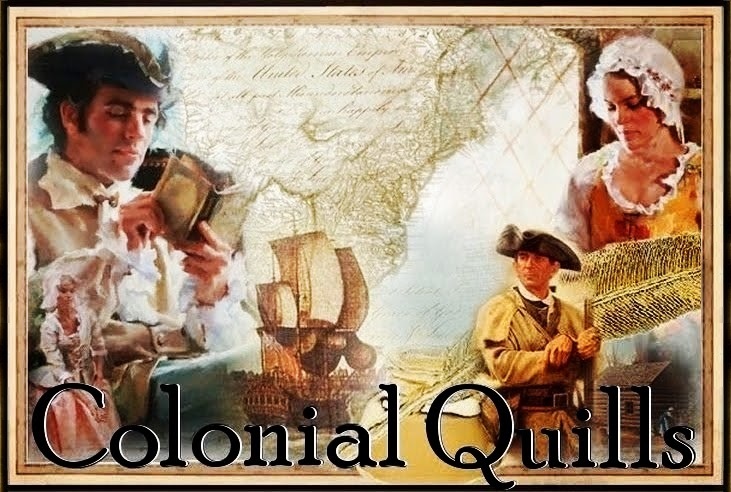 Although it was not the custom for women to discuss politics during the colonial period, Elizabeth was an exception. Possessed of an excellent education and intellectual mind, she took part in the political discussions that the Founding Fathers and other male guests had in her home. George Washington found her to have excellent insight and judgement in politics and not only sought her advice at times, but gave it serious consideration when making decisions. After Washington died, his good friend Elizabeth was given a small piece of his coffin. 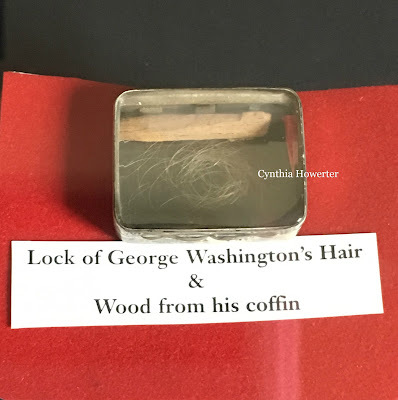 Along with a lock of his hair, it is displayed in the Withdrawing Room. Like many eighteenth century gentry-owned houses in Philadelphia, the Powel House has an enclosed rear garden with a brick-paved walkabout. The photograph below provides a view of the back of the original three-story house (light-red brick exterior with shutters on the first and second floor windows) with its long, perpendicularly-attached two-story addition (dark-red brick exterior with white shutters on the first and second floor windows) and part of the garden. Rear of the Powel House and part of its garden. Photo by ©Deb Park. During the Yellow Fever epidemic that struck Philadelphia in 1793, George Washington urged the Powels to leave the city until the sickness was no longer prevalent. Samuel declined, believing that as Speaker of the Pennsylvania Senate it was important for him to remain in town. He contracted the disease and died. Elizabeth survived her husband by thirty-seven years, never remarrying and taking her last breath in 1830. During the late nineteenth and early twentieth centuries, the historic section of Philadelphia where the Powel House was located declined. Many buildings, including the Powels' once grand home, ceased to be used as residences and were turned into factories and warehouses. In 1931, the Powel House was under threat of demolition and scheduled to become a parking lot. 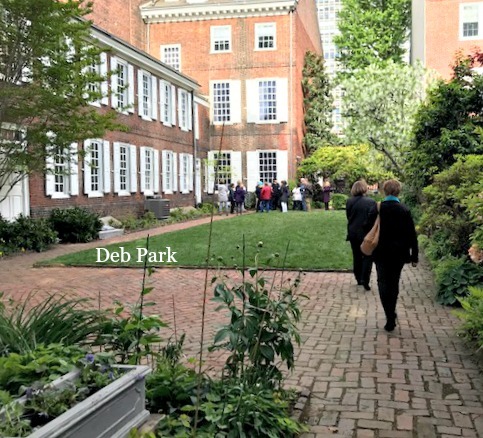 Rather than allow the destruction of such an important piece of colonial American history, the Philadelphia Society for the Preservation of Landmarks purchased the property and restored it, then opened it to the public as a museum. Photographs by ©Cindy Feger, ©Deb Park, and ©Cynthia Howerter. Thank you Cindy Feger and Deb Park for generously allowing me to use your photographs in the Powel House article. Cindy, Deb, and I toured the Powel House during our visit to Philadelphia last year. The three of us are members of the Fort Augusta Chapter of the Daughters of the American Revolution. The Fort Augusta Chapter is located in historic Northumberland County, Pennsylvania. Award-winning author Cynthia Howerter loves living amidst Virginia's rich history. She frequently visits historic sites, accompanied by her wonderful husband and trusty camera. 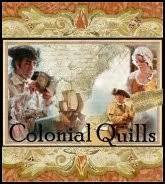 One of her photos was recently purchased by Colonial Williamsburg and used on their Christmas cards. 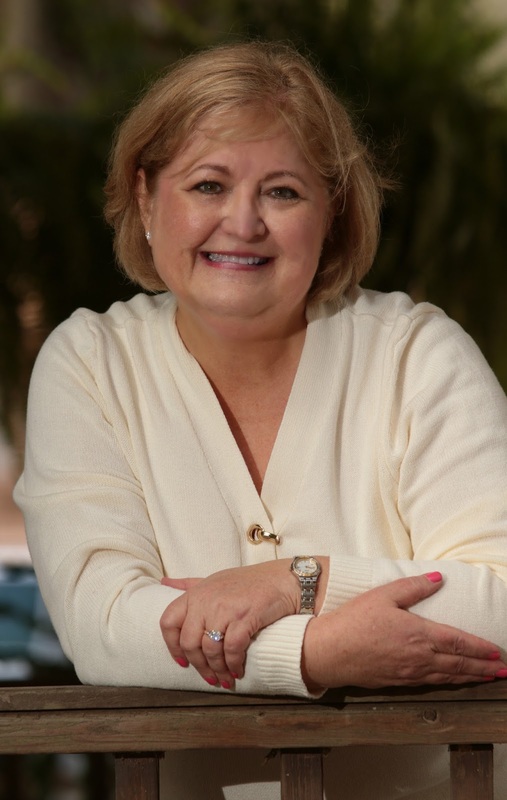 She enjoys sharing her photographs in her articles, believing that topics are more interesting when one can see them. Thank you, Janet! I think you'd really enjoy visiting the Powel House. I love having a place in mind to visit the next time I go to Philadelphia! Thanks so much, Cynthia! Thank you, Debra! 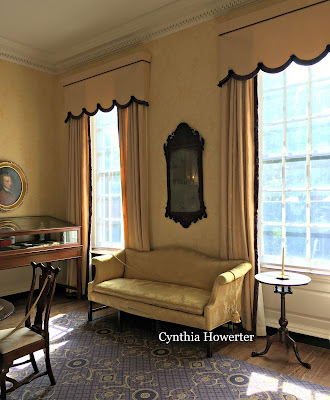 Make sure you make reservations in advance if you plan to go to the Powel House. It is a wonderful piece of American history. You are so sweet, Melissa! Thanks for reading the article and leaving a comment. 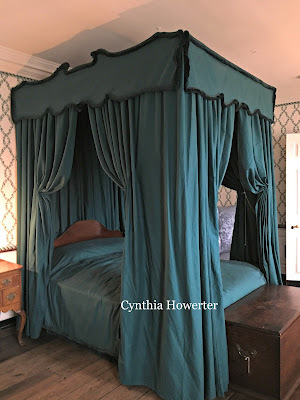 I know you'd enjoy visiting the Powel House. Great article! Thank you for your post and your pictures! Thank you, Jessica! I'm so glad you enjoyed the article and photos! Thanks for letting me know - I really appreciate it!